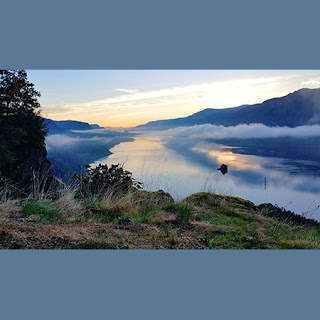 Visit the Cape Horn Loop for one of the premier hiking loops in the Gorge. A 7.7 mile loop, the Cape Horn Trail is an easy 40 minute drive from Portland, offering a perfect weekend hike for Oregonians, Washingtonians, and those visiting the area. The Cape Horn trailhead is located at the Skamania County Transit Park & Ride lot near milepost 26 along State Highway 14 at Salmon Falls Road.